Brickfinder - LEGO Star Wars VIP Card First Look! 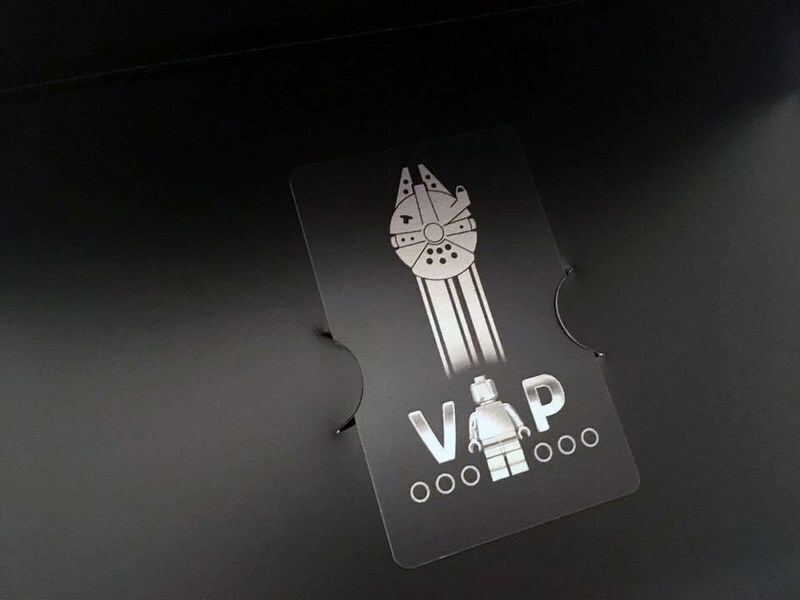 LEGO Star Wars VIP Card First Look! 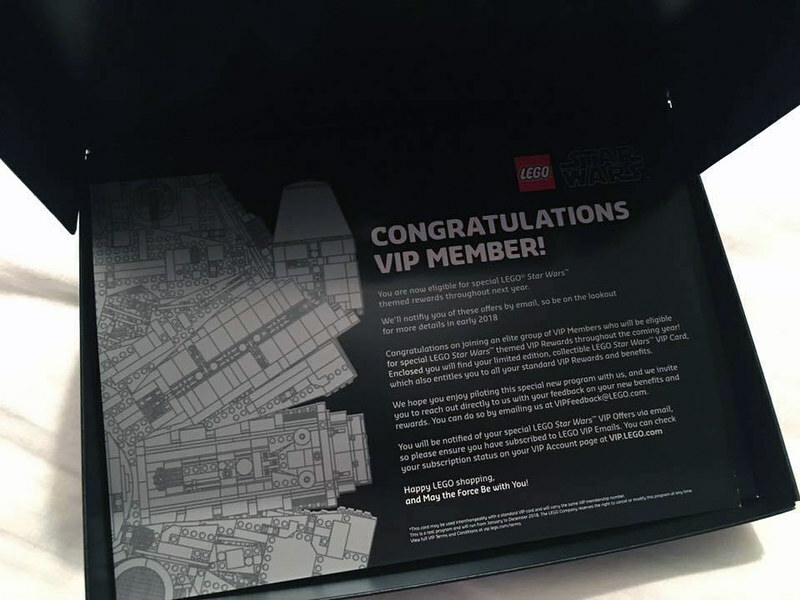 As the dust settles on the launch of the LEGO Star Wars UCS Millennium Falcon, one of our readers in London dropped us a bunch of images of her very own LEGO Star Wars VIP Card! 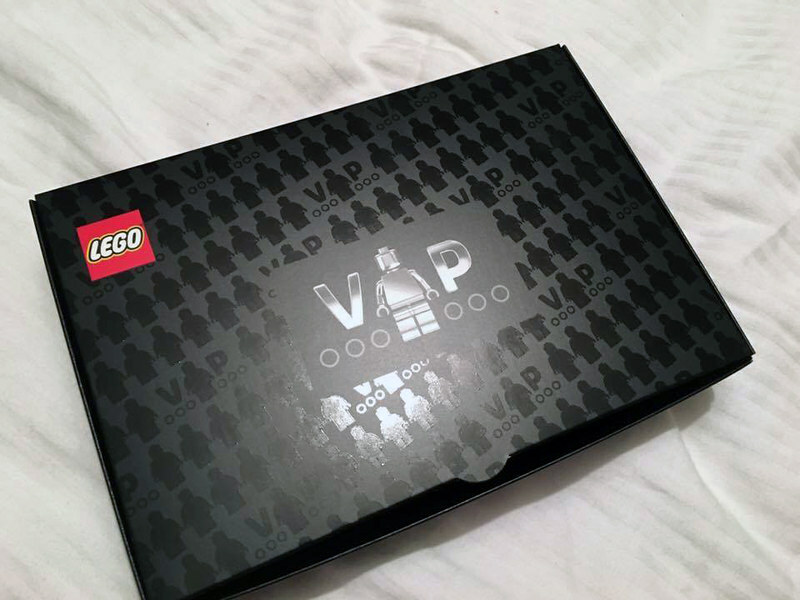 There has been some confusion as to how one can get it so what we found out is that anyone who is a LEGO VIP member (its free to sign up) buys a LEGO Star Wars Ultimate Collectors Series Millennium Falcon (75192) from a LEGO Brand Store will be sent this super exclusive LEGO Star Wars VIP card! It is linked to your VIP program so don’t worry about your existing points and there seems to be some LEGO themed events coming up in 2018 that this card will allow you to attend. This can only be obtained when buying the Falcon from a LEGO Brand Store so anyone in Asia or only have a LEGO Certified Store in their country is pretty much out of luck. Either way, it is still a nice touch to commemorate the launch of the most anticipated (not to mention the largest) LEGO set ever released. Just FYI, the card has been spotted on Evilbay to the tune of £300+! The limited edition membership card is available upon purchase of the Millennium Falcon ™. So you enjoy exclusive benefits for LEGO® Star Wars ™ for a year ! Who can get the LEGO® Star Wars ™ VIP card? All VIP members who purchase the Millennium Falcon ™, also new members upon their first registration. The card is available in all countries with a VIP program, even in countries where there are usually no VIP cards. A list of participating countries can be found at VIP.LEGO.com/terms. How do I get my card? The card will be sent by post. Please note: the map is not available in LEGO stores. The card is sent by mail, so that it can be issued individually and, if necessary, linked with an existing account. This means that all already collected points are also available with the new, already activated card. The corresponding VIP account must be fully registered. Cardholders will still receive all the regular VIP benefits and an additional one-year exclusive offer from the Star Wars ™ theme world over the course of 2018. What special offers are available with this card? Exclusive offers include point promotions, special events, free gifts for shopping and much more! The offers will be submitted directly to the corresponding VIP members during the year 2018. Does the VIP number of this card differ from the one on my regular VIP card? Already registered members keep their existing number. The number is printed on the regular map and on the Star Wars ™ Collector’s Card . Both cards can be used normally. Can I get this card without buying the Millennium Falcon ™? Unfortunately, no. This card is an exclusive gift to purchase the Millennium Falcon ™. Why can not I get my card immediately when I buy the Millennium Falcon ™ in a LEGO® store? We will ensure that the card is linked to an already existing VIP account. Also the name of the member is printed on the card, which is unfortunately not possible in the store. How long is the card available? The collector’s card is available in limited edition until the 31st of December or as long as stocks last. When will I receive my card? After the purchase of the Millennium Falcon ™ it may take up to six weeks for the card to be delivered.